Iran Briefing | News Press Focus on Human Rights Violation by IRGC, Iran Human Rights – نقض حقوق بشر توسط سپاه پاسداران Does Iran Have the Means to Further Expand Its Influence Throughout the Middle East? Jan 18, 2019 adminbass Politic, Politics, Quds Force, Slider Comments Off on Does Iran Have the Means to Further Expand Its Influence Throughout the Middle East? Let’s start with the basics. In the first months of 2018, Iran exported about 2.6 million barrels a day of crude oil and other petroleum products, worth about $4 billion per month. After November 4, U.S. sanctions on Iran came into effect, cutting oil exports in half. 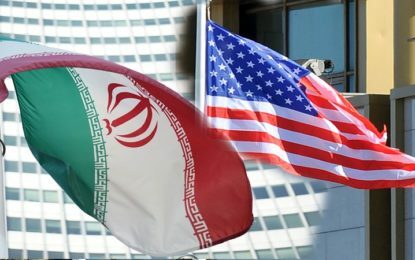 While the intent was to completely cut off Iranian oil exports, the U.S. gave 90-day waivers to eight major Iranian oil importers. With the U.S. sanctions in place, Iran’s oil revenues are expected to fall by half in 2019, in the best case. With this in mind, the Rouhani government introduced a tight budget for FY2019–2020 (starting March 20, 2019). Expenditures are budgeted at $103 billion, which represents a 12 percent nominal increase (measured in rials). Oil revenues, which are officially projected at $30 billion (based on exports of 1.5 million barrels a day at $54 the barrel) are expected to cover about one quarter of total expenditures. However, the oil revenue numbers seem to be overestimated by at least 25 percent, and could be even lower if the Trump administration does not renew the waivers.